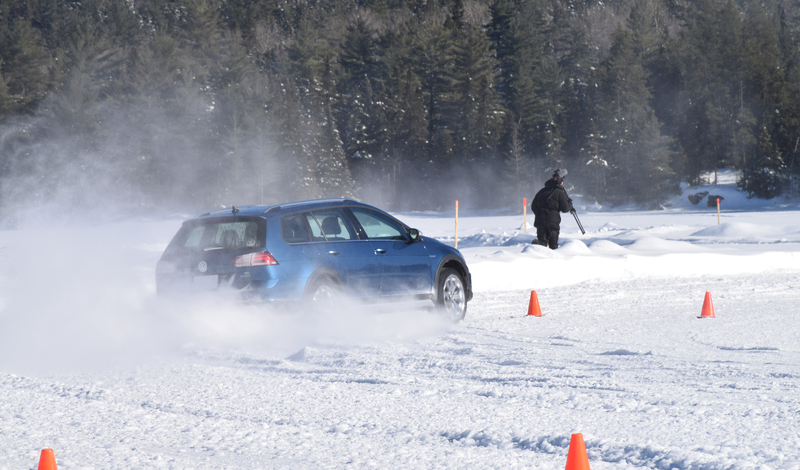 This shows the author at speed through the ice lake slalom course in the 2018 VW Alltrack with 4Motion AWD. SAINT-ALEXIS-DES-MONTS, QC: Canadians are rushing to get all-wheel-drive with the same fervor as SUVs, with manufacturers trying to make AWD available on as many models as they can. Once a luxury option, the carmakers are scrambling to bring AWD down market as fast as possible to satisfy demand. One of them is Volkswagen, with its 4Motion system currently offered on the Atlas and Tiguan SUVs, Sportwagon/Alltrack wagons and the potent Golf R sedan. 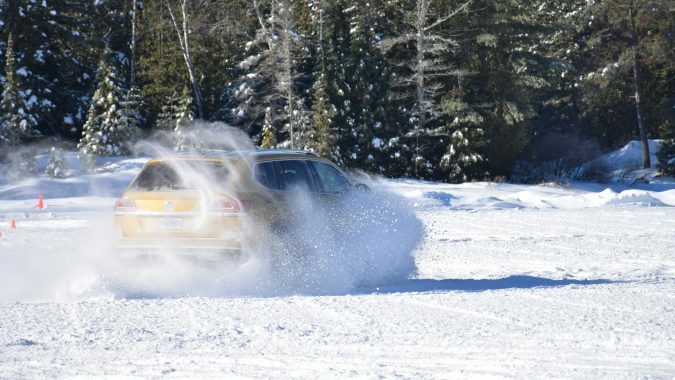 To demonstrate 4Motion, and more to the point put it to the test, Volkswagen invited two waves of American and Canadian auto writers to Saint-Alexis-des-Monts, Quebec, about two hours north and east of Montreal where they set up a driving route on local roads and a much more challenging course on frozen Lac Sacacomie. To show how Canadians are migrating to AWD, VW noted sales of 4Motion went from 14,422 units in 2016 to 27,751 or almost double in 2017. The Atlas is the largest vehicle VW makes. Starting at $39,790 it features either a 235 hp 2.0-litre turbo four-cylinder or a 3.6-litre V6 producing 276 hp and standard eight-speed automatic transmission. Depending on trim level, 4Motion is either optional or standard. The Tiguan (starting at $31,175) is VW’s compact crossover with 184 hp 2.0-litre turbo inline four-cylinder with eight-speed automatic transmission. 4Motion is standard on the two models. 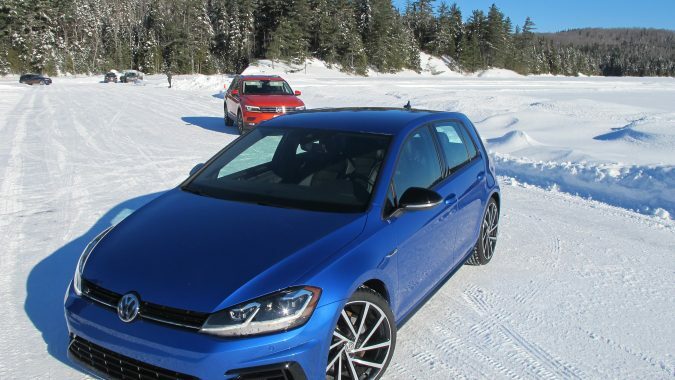 The Sportwagen and Alltrack are Golf station wagons starting at $25,695 with a five-speed manual or six-speed automatic transmission on the former and a six-speed manual or six-speed dual clutch automatic transmission on the latter. In both cases power comes from a 170 hp 1.8-litre turbo inline four-cylinder. 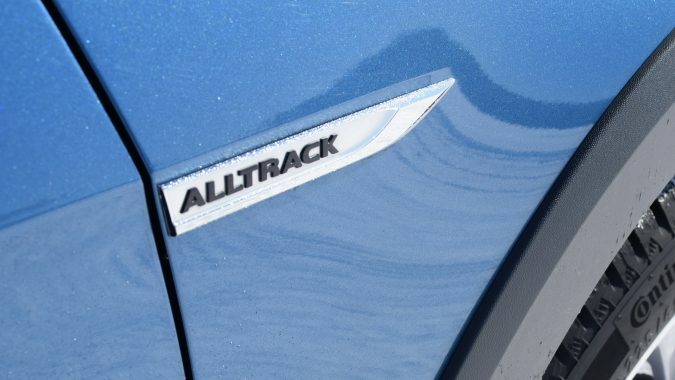 At the event, VW brought Alltracks where 4Motion is standard, but 4Motion is available on Sportwagen and standard on the top trim Highline model. 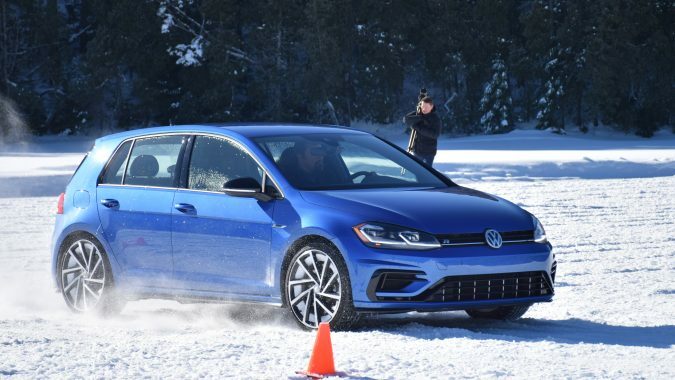 Last, but certainly not least, is the potent 280 hp Golf R with standard 4Motion with Haldex centre differential and either a six-speed manual or seven-speed dual clutch automatic transmission with pricing starting at $42,065. How 4Motion works is the drive is primarily to the front wheels. But when slippage is detected, torque can go up to almost 100 per cent rear as well as side-to-side. Making this all work is an AWD coupling (now in its fifth generation) that is attached to the rear axle differential with a clutch pack that is operated electro-mechanically. 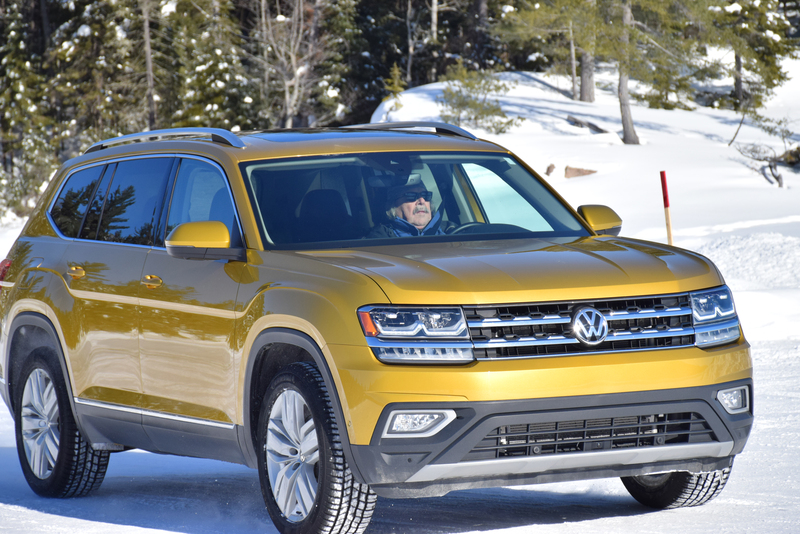 The Atlas and Tiguan go one better, with 4Motion Active Control with a centre console rotary knob that lets the driver pick between four modes – Onroad, Snow, Offroad and Custom Offroad. If you press the mode button while in On-road there are four settings (Eco, Normal, Sport and individual) that alter engine/transmission/steering response for the best performance based on conditions. Of course on the lake I let 4Motion do the thinking. 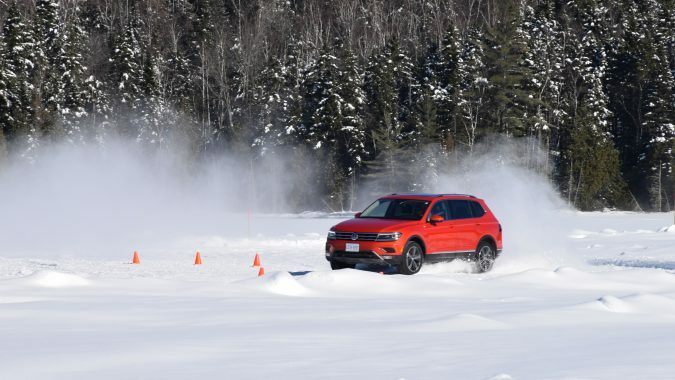 But with the Atlas and Tiguan, Snow Offroad was only way to go because it gives a flatter acceleration curve, earlier shift points and changes the traction control for better response. 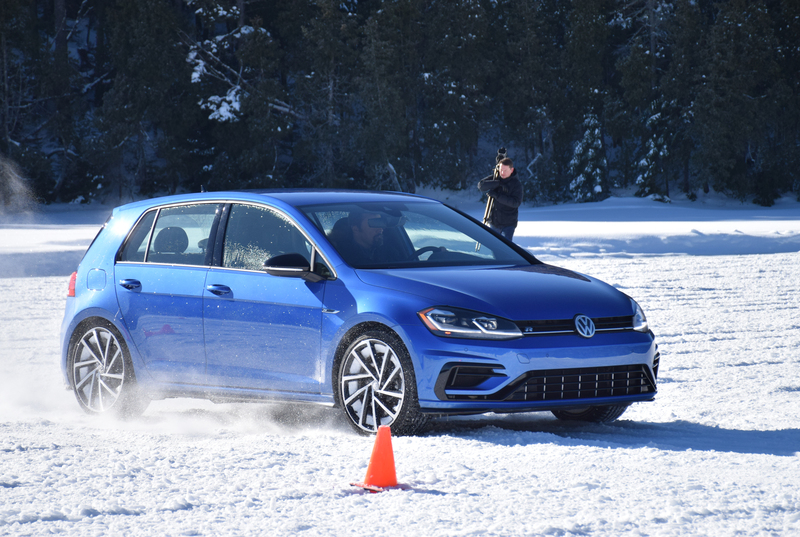 For the closed course on ice I went out first in a Golf R with the paddle shifter in second and charged into the slalom course with everything I had. 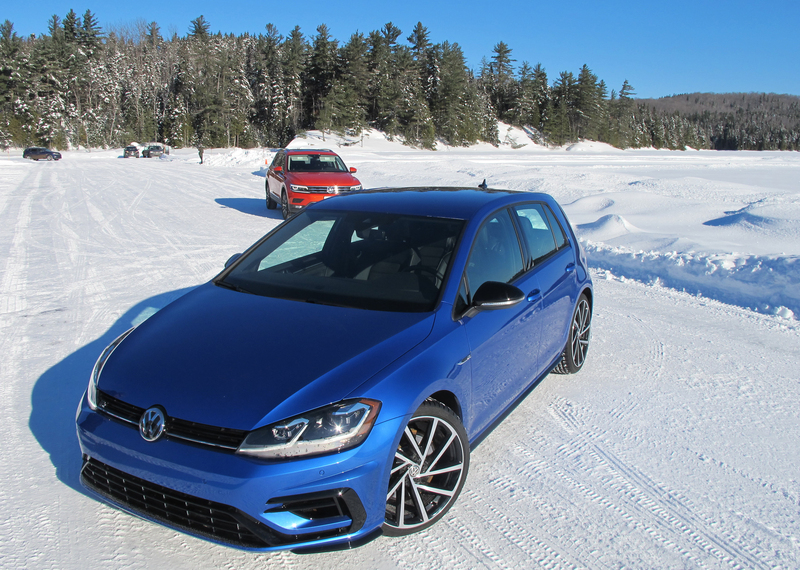 But making the turn on the end of each straight, the Golf R seemed to almost bog down until the instructor figured out the traction control should have been turned off, after which Golf R with all the power was a blast. 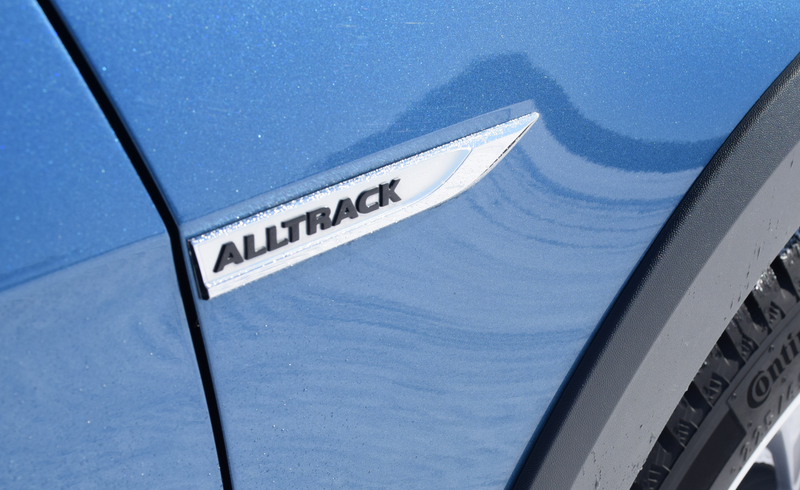 But the most impressive was the Alltrack, which I least expected. 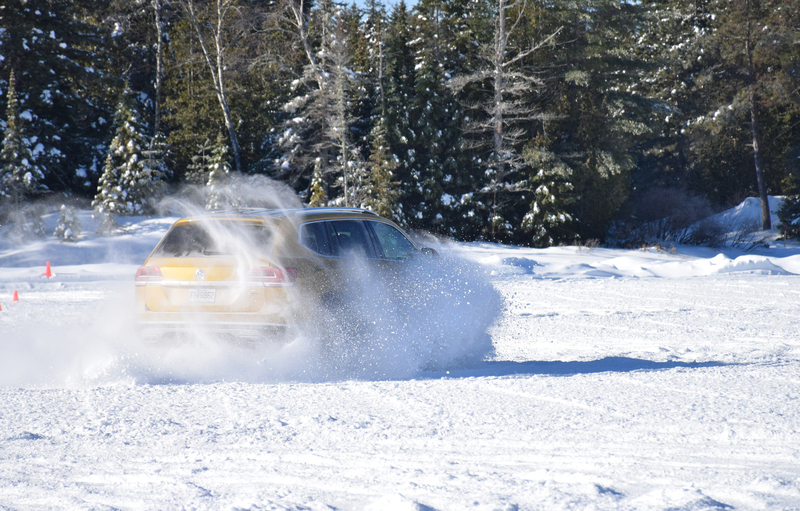 With the traction control off and in second gear, I could charge down the straight, yank the wheel over making the turn at the end and grind into the next straight, mostly in control and throwing up waves of snow. The Tiguan and Atlas were also good, but where the Atlas came into its own was on the road section to the town of Saint Poulin. With seating for up to seven and clever second row folding seats, this is a SUV you could drive comfortably across the country in rain, snow or whatever Mother Nature could throw at you. 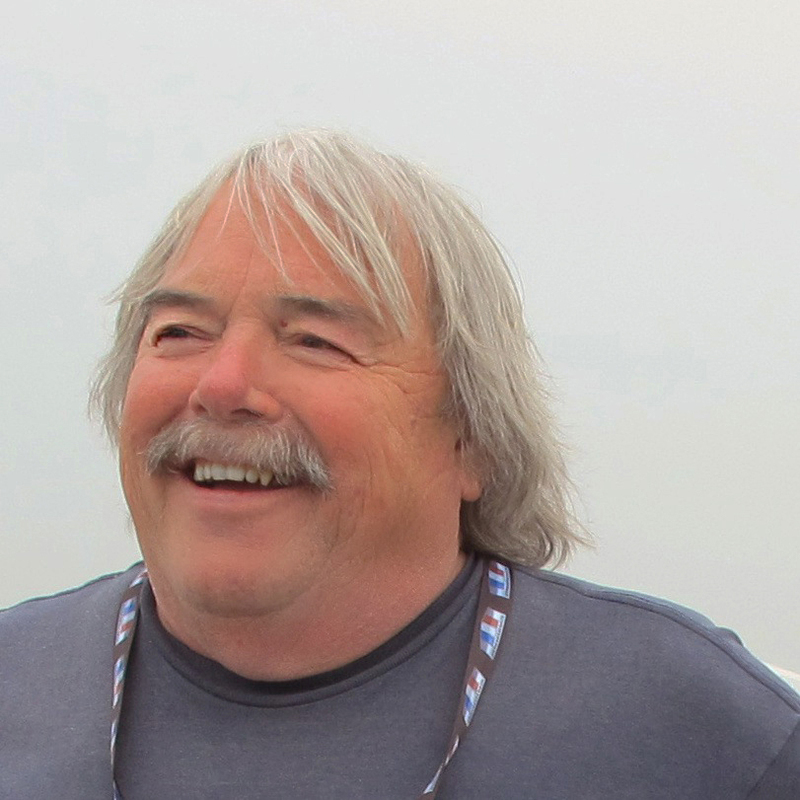 My co-driver and I had the V6, which is a lusty engine with more than enough power to pass on the winding, two-lane blacktop roads we encountered. During the whole time I was thinking about how far and fast AWD has come. When I started doing this car gig 25 years ago, there wasn’t AWD, just four-wheel-drive and there weren’t any buttons or knobs to select the drive mode. In most cases it meant either stopping the vehicle in Neutral and then heaving back on a separate lever to engage 4-low or, even more primitive, getting out and manually locking the front hubs with your hands. With modern technology, AWD causes little parasitic friction drag on the power train, which means better fuel economy. But the real boon is those two or three times a year when you really need it, AWD like 4Motion is there to pull you through.